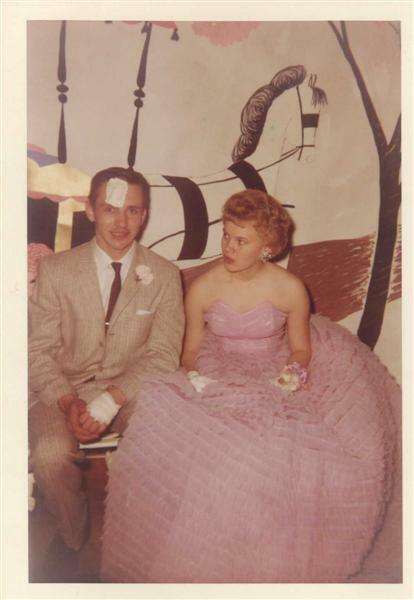 And other "Dress Up" parties. 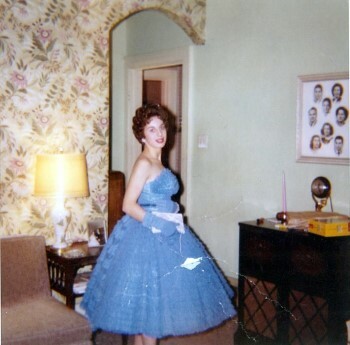 getting ready to go to the Job's Daughters formal Ball. 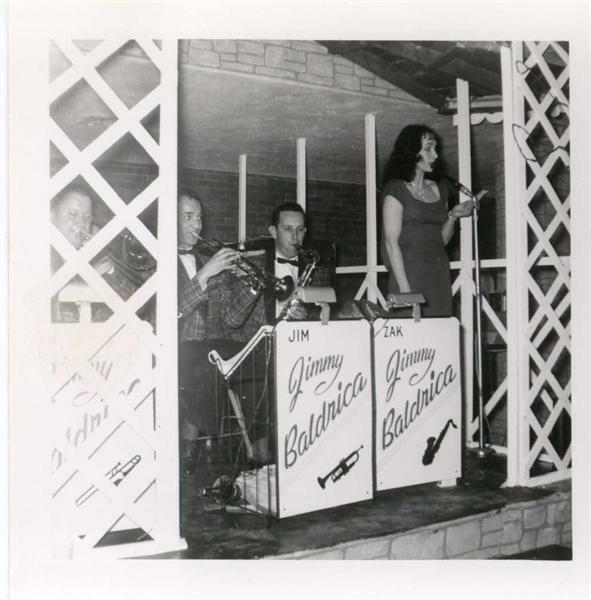 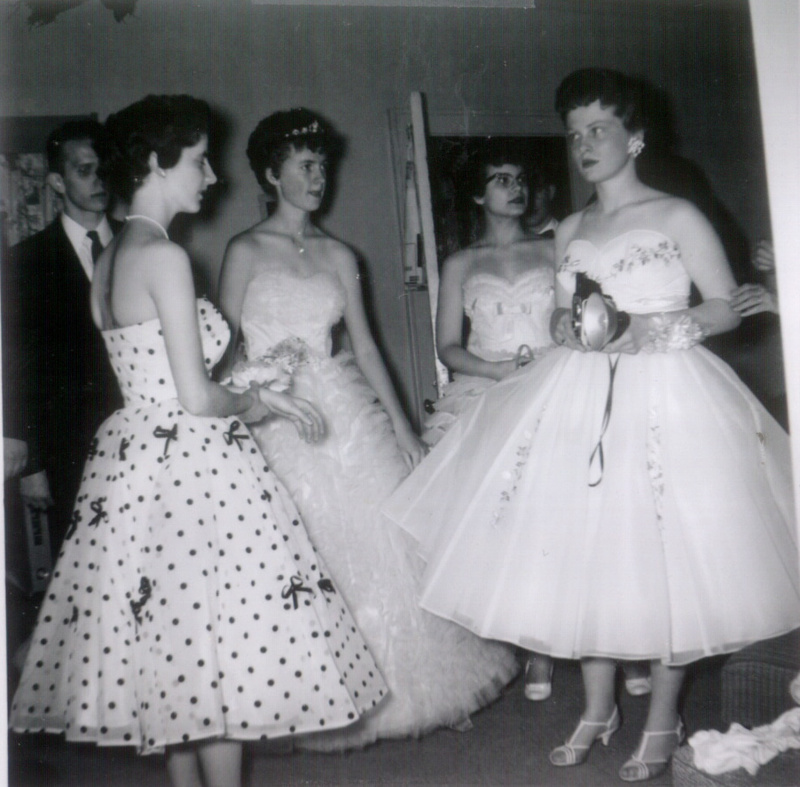 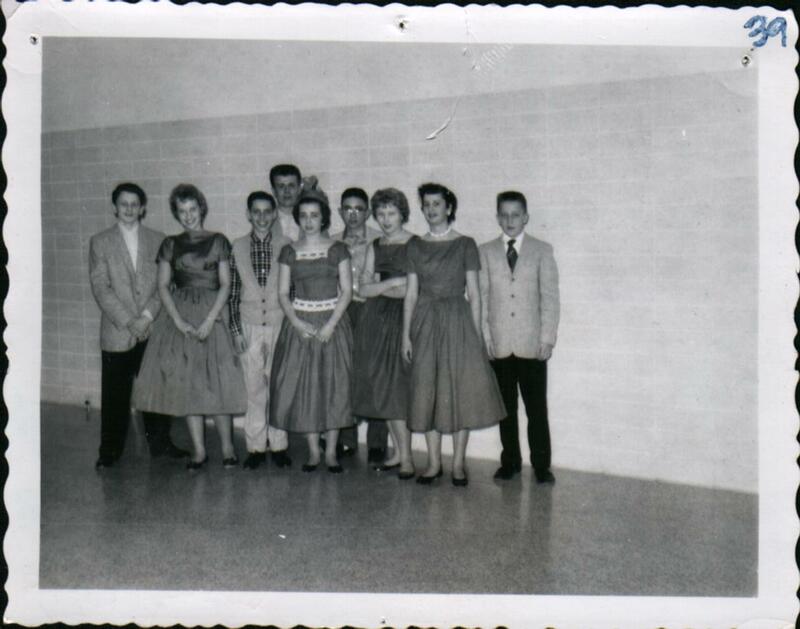 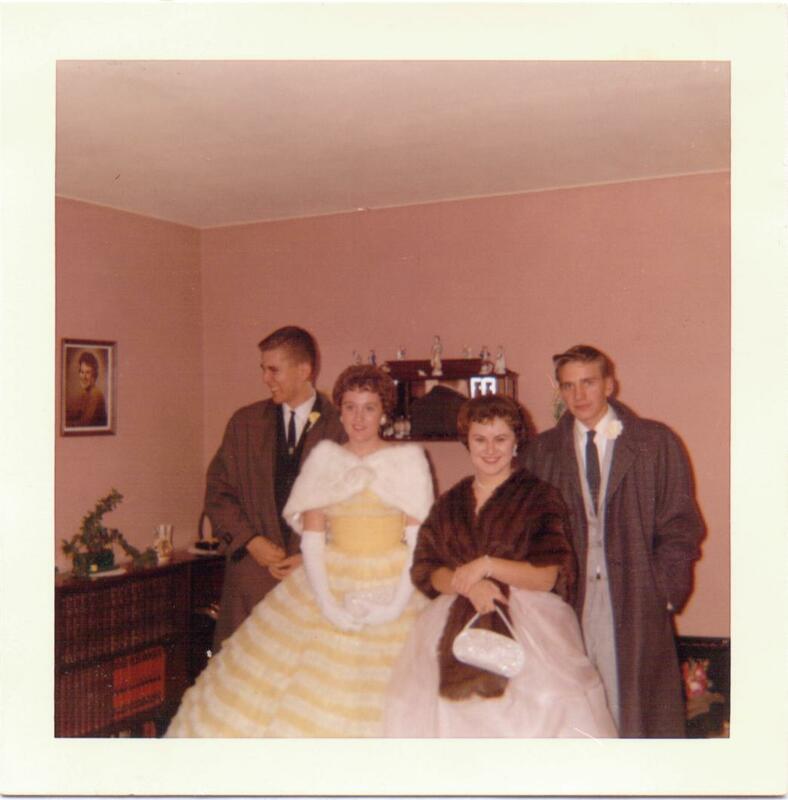 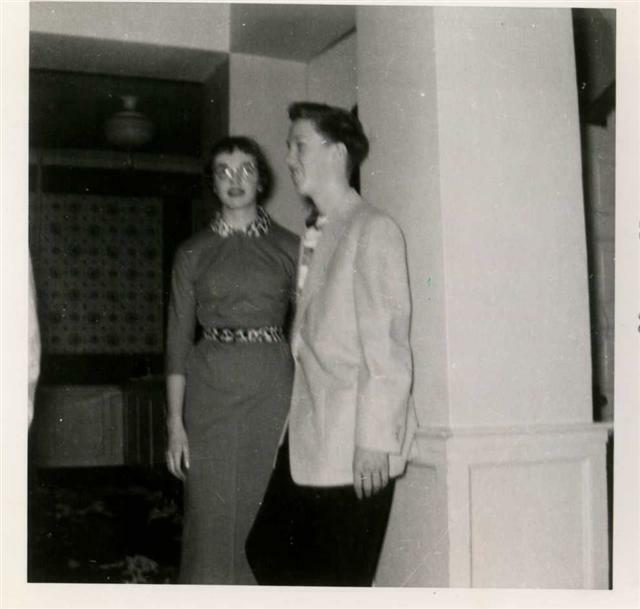 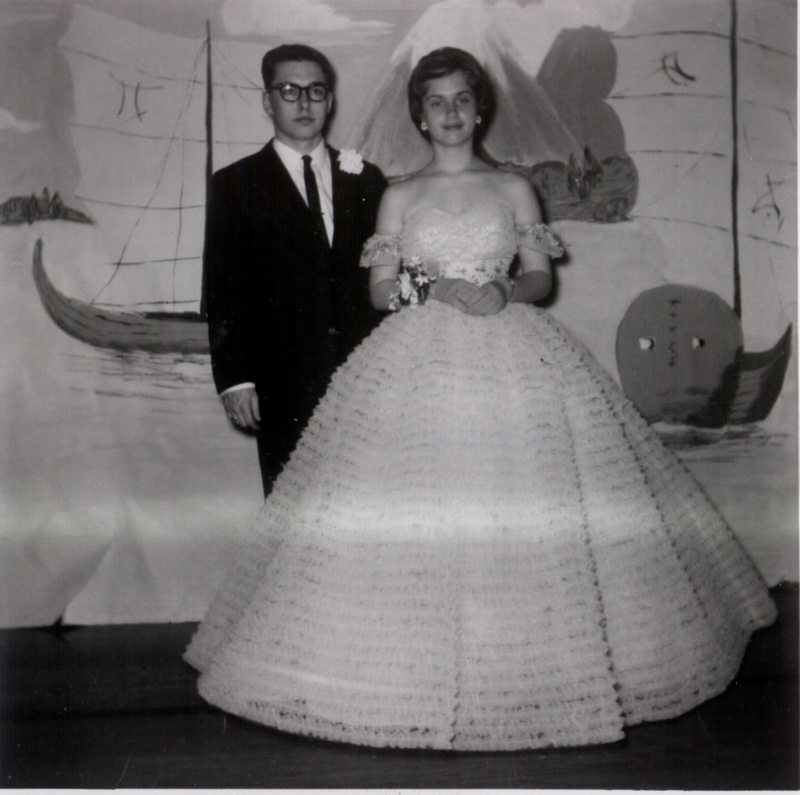 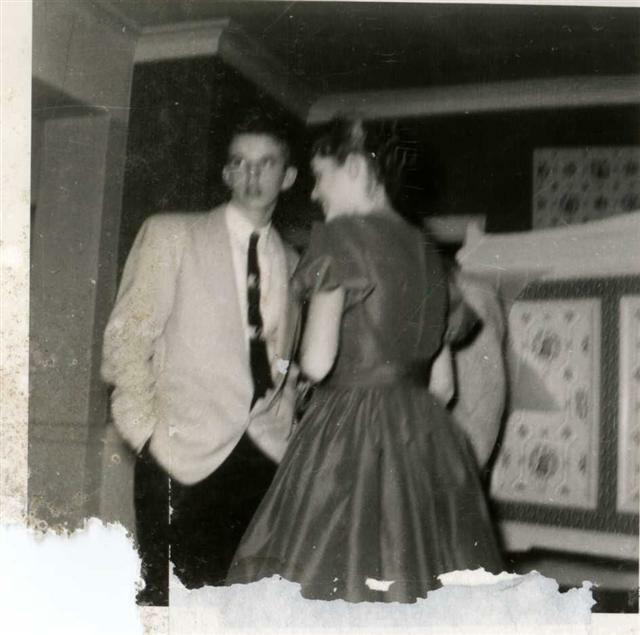 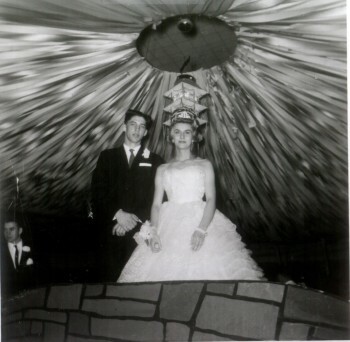 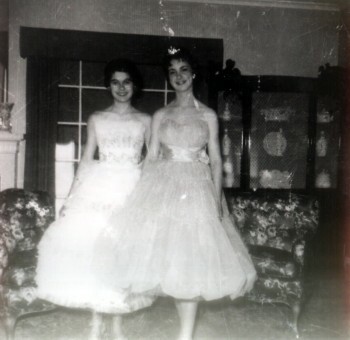 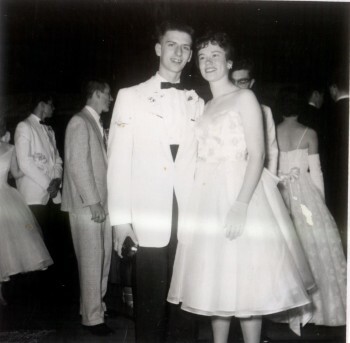 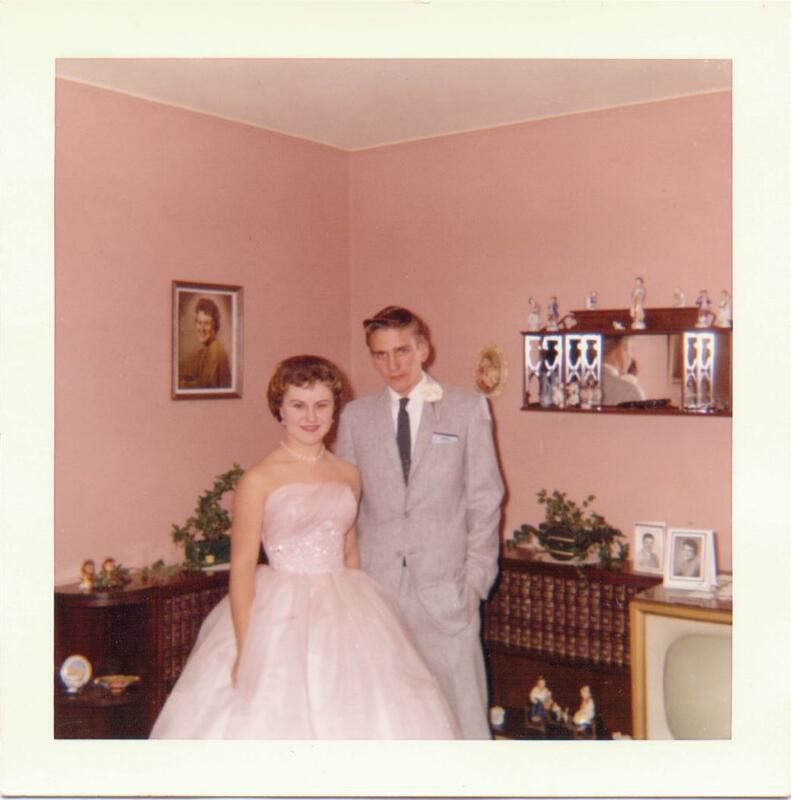 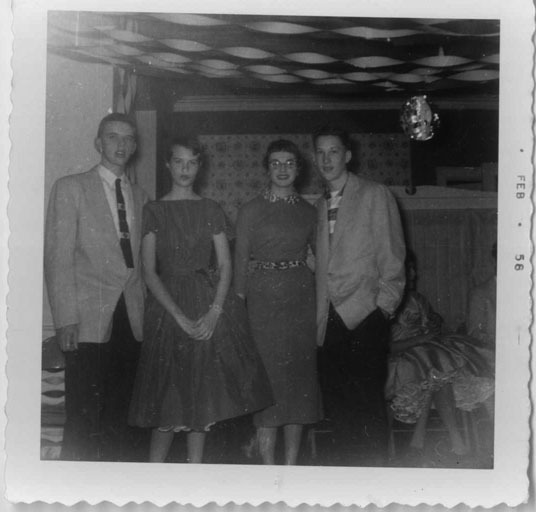 "Jim Csargo & date - 1960 prom"
Fuzzy Forsmark (left) & Sharon Anderson singing. 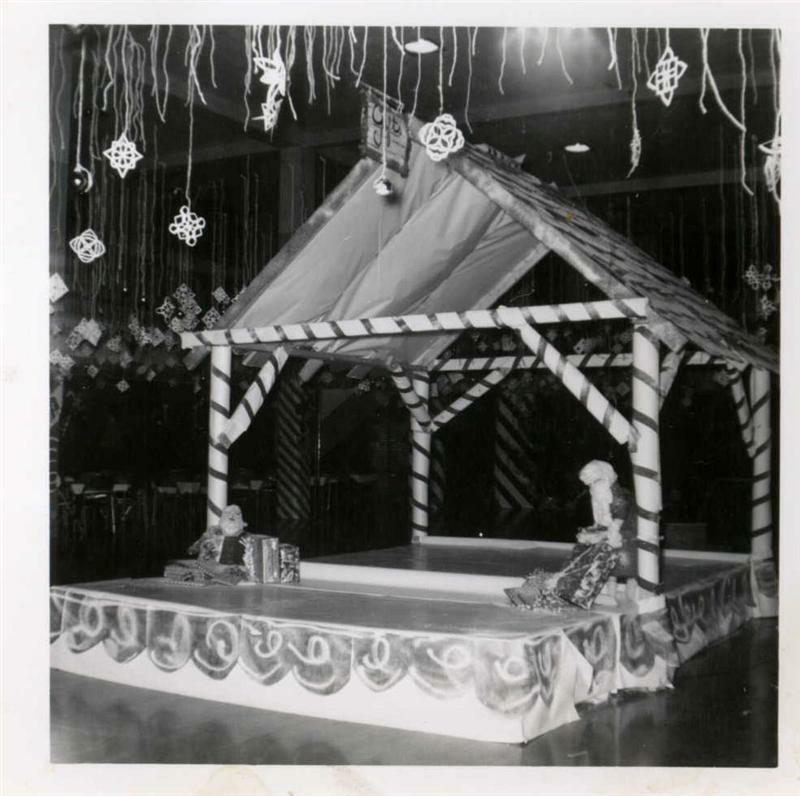 Joing the extra curricular activities of the students at Hibbing High School, Aladin attends the Girls' League annual Christmas Dance. 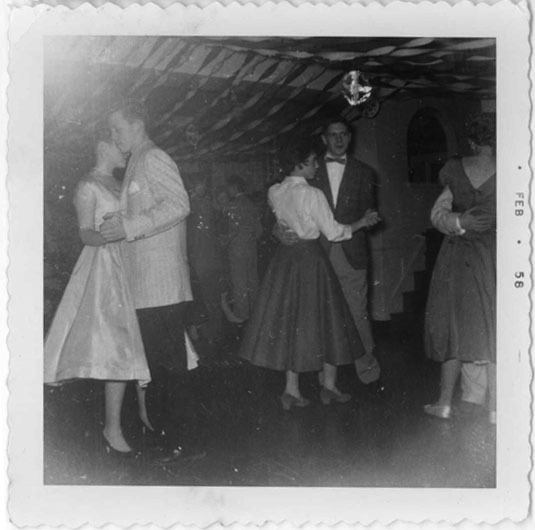 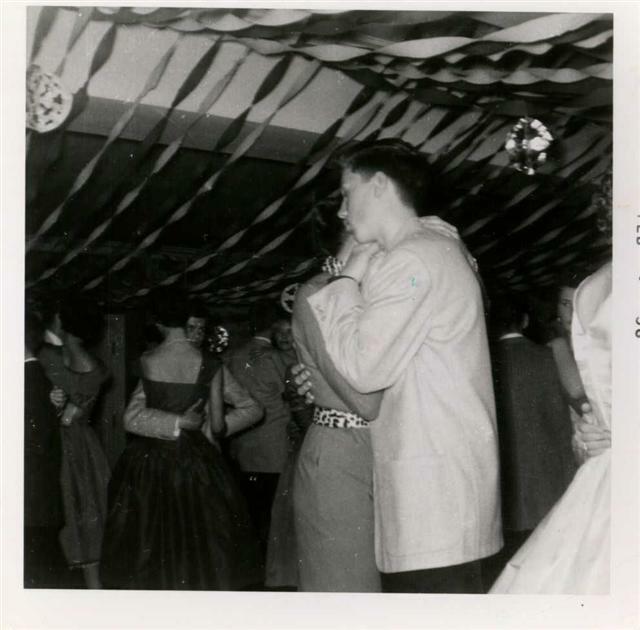 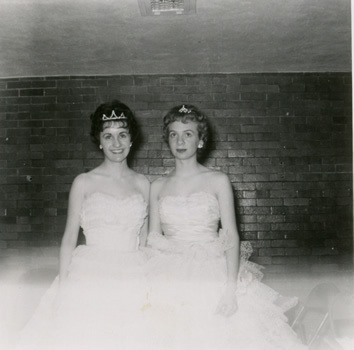 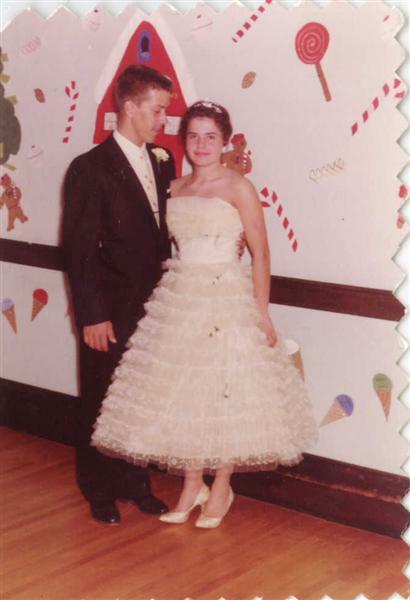 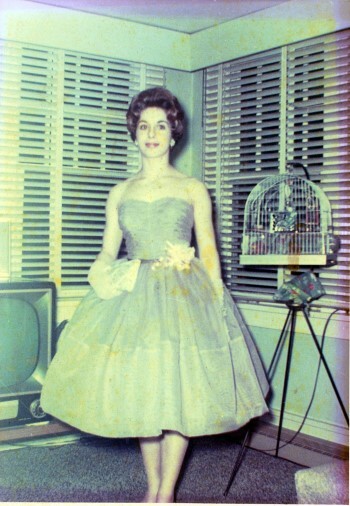 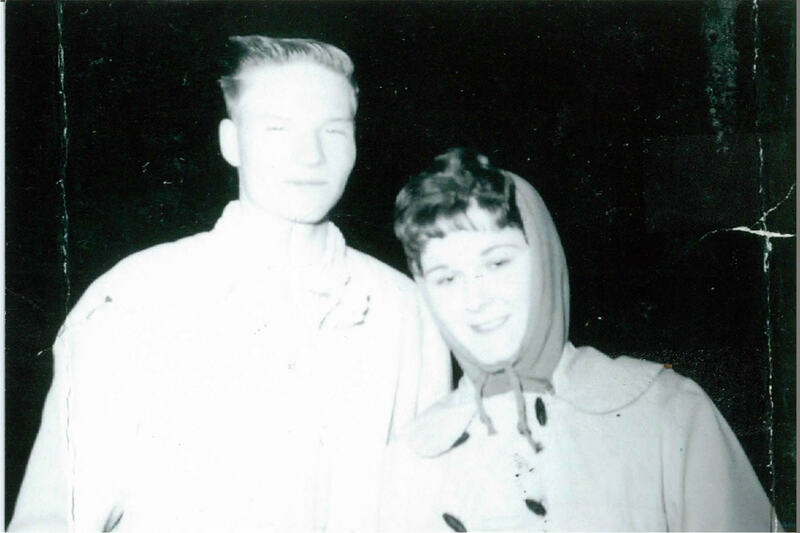 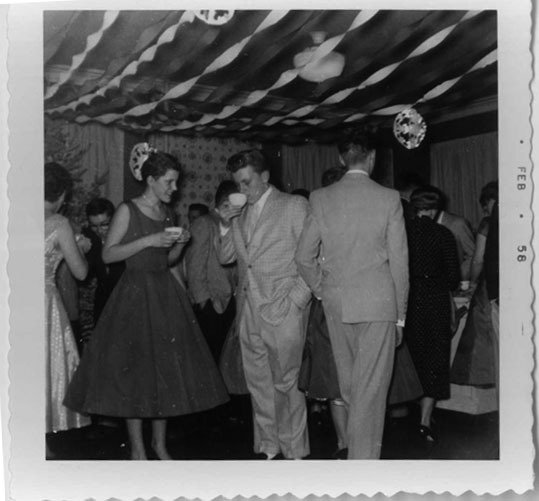 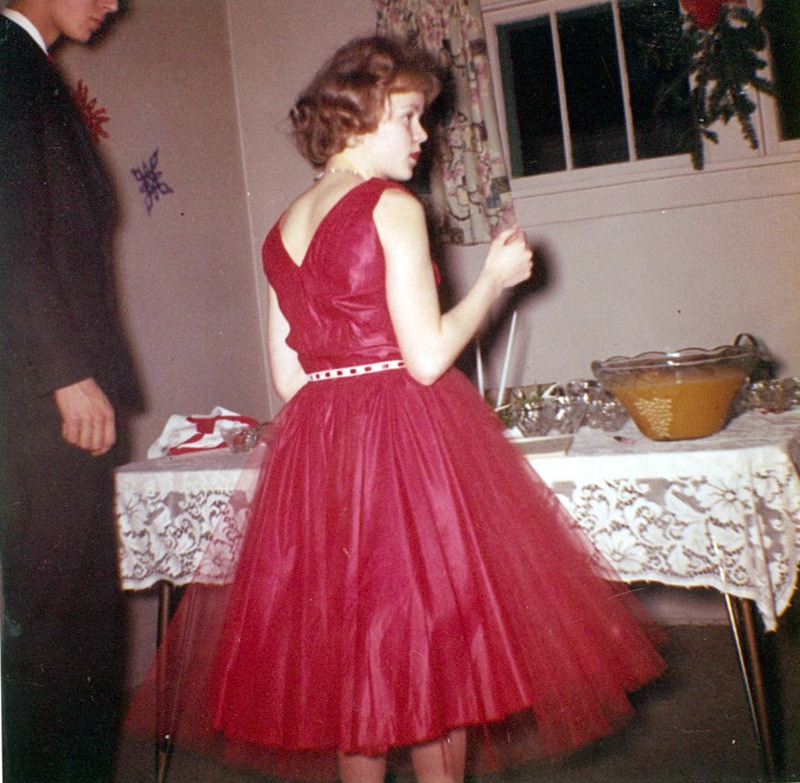 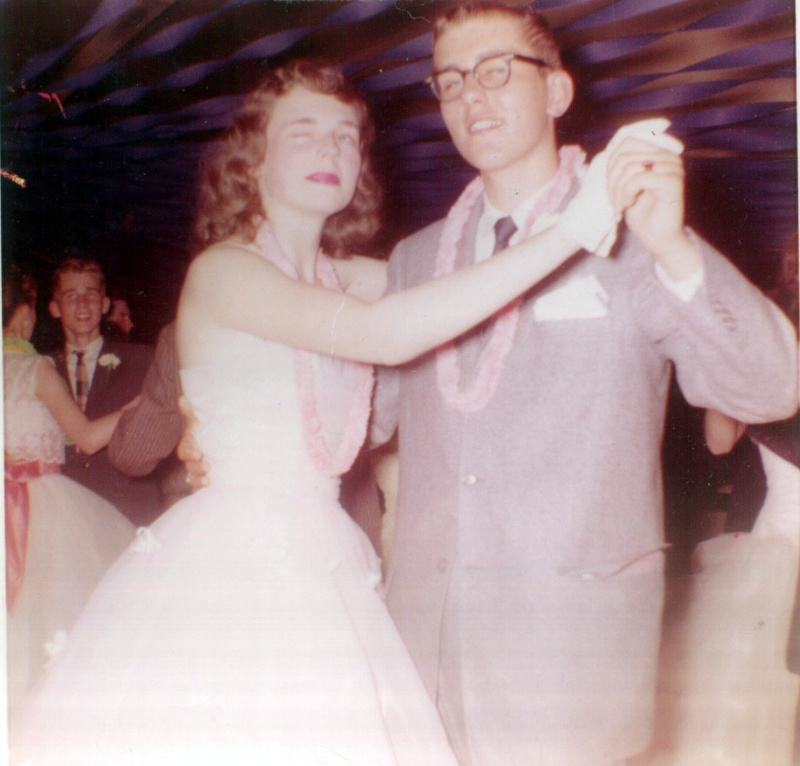 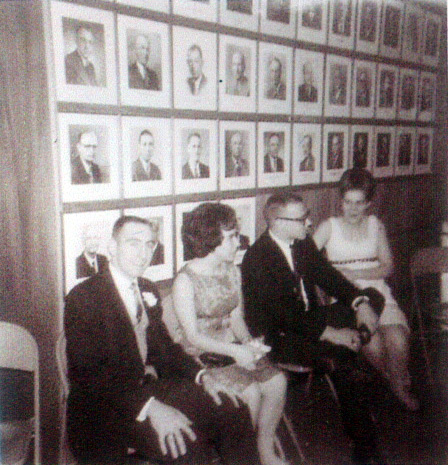 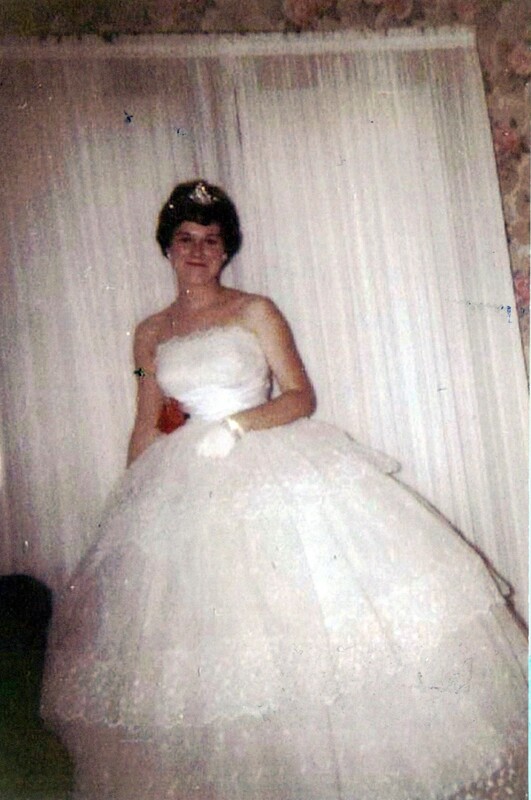 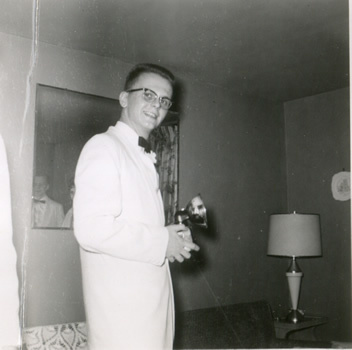 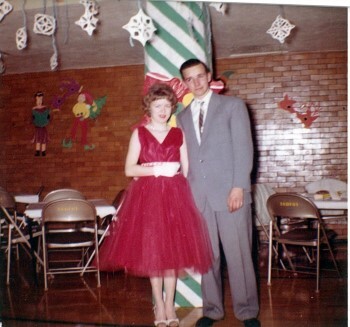 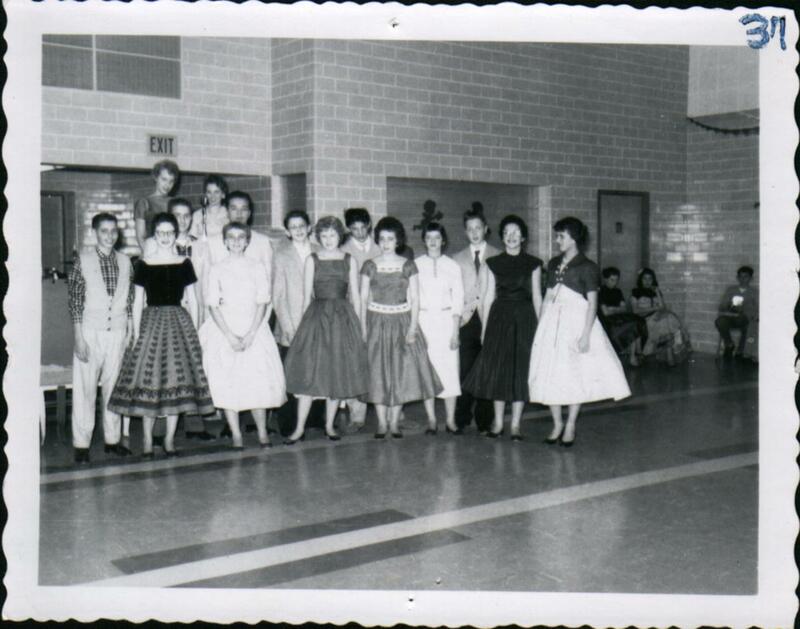 The theme of the dance was "Mistletoe Madness"
Bob & Doug were class of 1960. 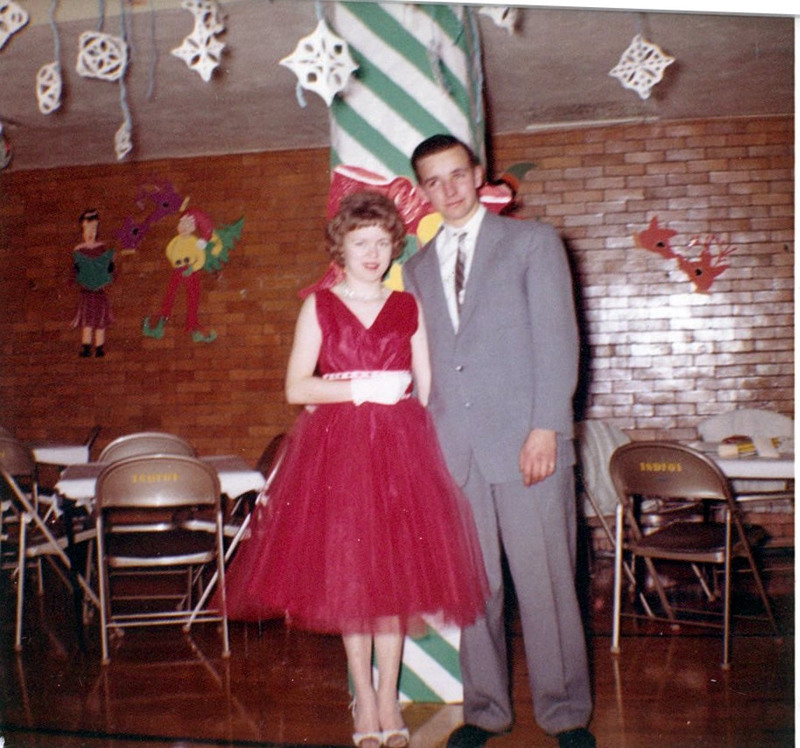 Per Gerry Johnson ('61) - The singer is Claire Beffra, wife of Frank Beffra, who owned WMFG radio. They moved to Duluth where Frank became one of the founders of WDIO-TV. 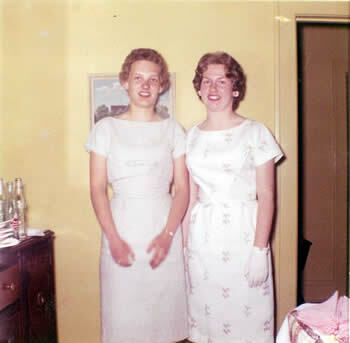 Claire sang around Duluth for many years and passed away in 2006. 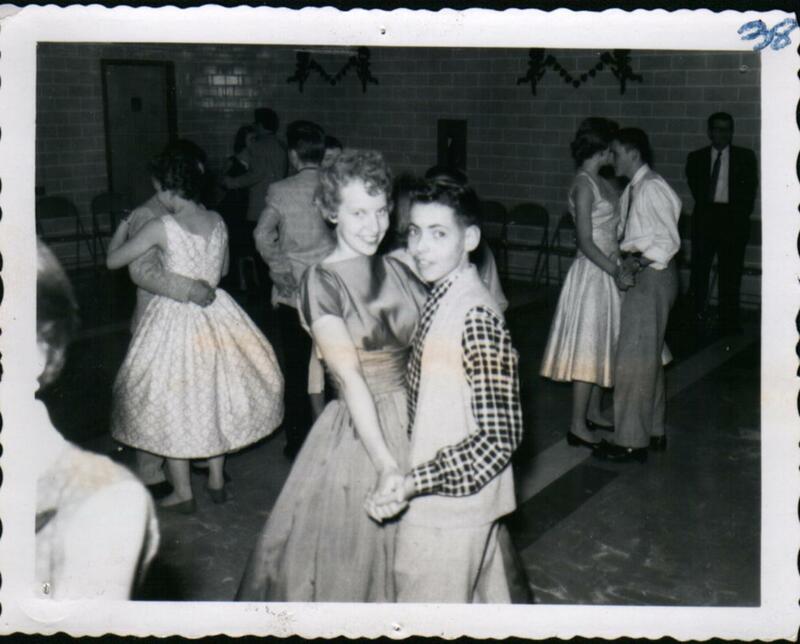 This is an actual placemat from the Gateway Dinner House. 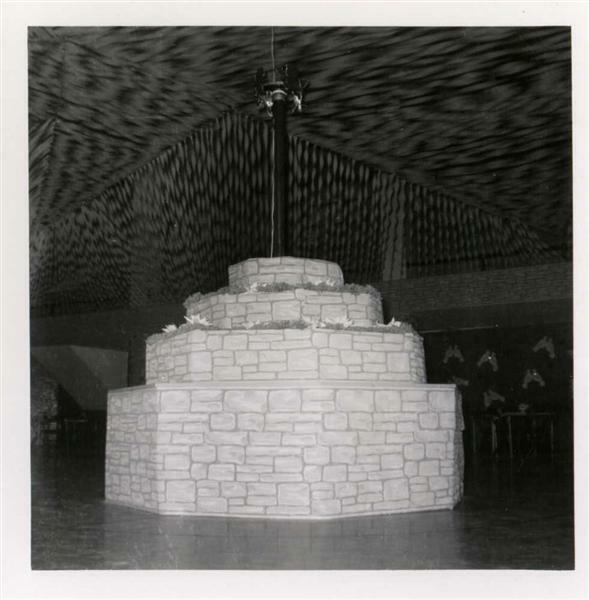 Located on HWY 37 at HWY 53. 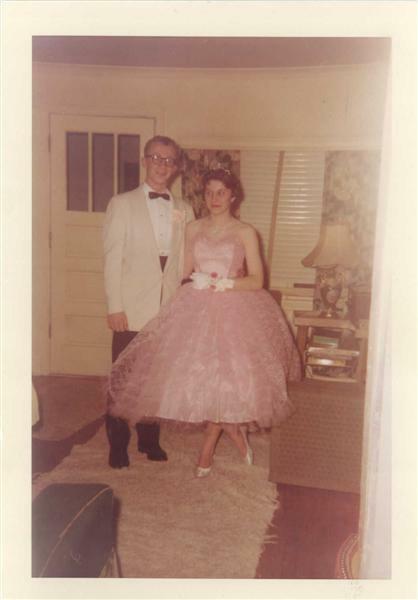 Several of us went there for dinner after the prom. 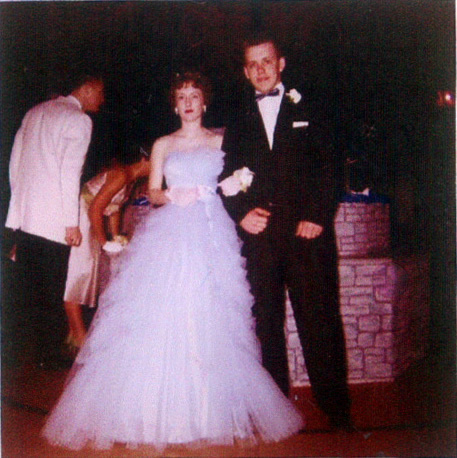 Scott Reinertson & Sandy Ronning.